This project pursues a four-year research and education plan to develop a unified framework for distributed control with limited and potentially disrupted communication. This framework utilizes hybrid systems as the modeling tool of choice to combine physical continuous systems, event-based protocols, and real-time software. The project is focused on the specific needs of distributed control over communication networks. The algorithms developed are tested on two testbeds available at the University of California, Santa Barbara (UCSB): the ZEUS© Surgical Robotic System and a wireless mobile robotic system. Development of a theory for infinite-dimensional and functional hybrid systems, which is needed to deal with (possibly varying) communication and computation delays. Extension of hybrid systems theory to a stochastic setting, capable of capturing noise, uncertainty and randomization present in most physical systems and in communication/scheduling protocols. Application to two existing test-beds of these extensions of hybrid systems theory, in order to understand the practical needs of distributed control over communication networks. This project aims at producing rigorous tools to analyze and design distributed control systems that are fully integrated with the communication networks that support them. The emphasis is in the design of systems that are provably correct by construction, minimizing the need for brute force a posteriori validation. The ultimate goal of this research is the design of control systems that are reliable in a realistic (thus not perfect) networked world. The tools and technologies developed are applied to two testbeds: the ZEUS© Surgical Robotic System and a wireless mobile robotic system based on ActivMedia's PIONEER-2 wheeled robot. These testbeds provide the practical validation of the fundamental research as well as demonstrate the role of hybrid systems as an enabling technology to areas such as medicine and biology; scientific and industrial sensing and control; and the support of experimental apparatus for science. This project has a strong educational component. Aside from providing funding for students pursuing PhD programs, new courses are added to UCSB's curriculum in the area of hybrid control systems. These courses are interdisciplinary, aimed at students in the areas of control, communications, signal processing, mechanical, and chemical engineering. The intended audience consists of graduate students early in their MS and PhD programs or senior undergraduate students. To this effect (and to facilitate the enrollment of students in different departments) the courses are mostly self-contained with minimal prerequisites. Undergraduate education is specifically addressed through curricular changes to increase awareness towards hybrid dynamics. By exposing the students to research, it is expected to enhance the transition to industry of the technologies developed and encourage students to develop the rigorous and analytical thinking required for success in scientific research and also in a professional career in electrical engineering. All the results, including papers, reports, and software are available freely to the research community through the world-wide-web. The course materials (including lecture notes, homeworks, laboratory materials, etc.) are also freely available to the academic community. As computers, digital networks, and embedded systems become ubiquitous and increasingly complex, one needs to understand the coupling between logic-based components and continuous physical systems. This prompted a shift in the standard control paradigm — in which dynamical systems were typically described by differential or difference equations — to allow the modeling, analysis, and design of systems that combine continuous dynamics with discrete logic. This new paradigm is often called hybrid, impulsive, or switched control. The top diagram is a hybrid automaton model of a queuing system that receives jobs at a rate r and dispatches them at a rate B. Below the hybrid automaton, we can see the corresponding modelica code. This and other examples of hybrid systems can be found at the web site of the UCSB course ECE229 - Hybrid and Switched Systems . construction of mathematical models to capture switching between discrete modes, delays, stochasticity, etc. development of methodologies to design control algorithms for hybrid systems. While some of our work on hybrid systems is of a theoretical nature, it is motivated by several high-impact application areas, including networked control systems, cooperative control of autonomous systems, communication networks, and systems biology. Details on some of these application areas are included below. Network Control Systems (NCSs) are spatially distributed systems in which the communication between sensors, actuators and controllers occurs through a shared band-limited digital communication network. The use of a multi-purpose shared network to connect spatially distributed elements results in flexible architectures and generally reduces installation and maintenance costs. Consequently, NCSs have been finding application in a broad range of areas such as the automotive and aerospace industries, mobile sensor networks, remote surgery, automated highway systems, and unmanned aerial vehicles. This diagram shows the general architecture of an NCS. Encoder blocks map measurements into streams of “symbols” that can be transmitted across the network. Encoders serve two purposes: they decide when to sample a continuous-time signal for transmission, and what to send through the network. Conversely, decoder blocks perform the task of mapping the streams of symbols received from the network into continuous actuation signals. One could also include in the diagram encoding/decoding blocks to mediate the controllers’ access to the network. We do not explicitly represent these blocks because the boundaries between a digital controller and encoder/decoder blocks are often blurry. Low-cost, low-power, small embedded processors are widely available, which permits endowing sensors and actuators with local processing and sophisticated network protocols. Low-power, high-bandwidth digital communication is widely available to interconnect a large number of sensors, actuators, and controller nodes. Wireless connections are especially attractive because they have minimal installation costs (although they can be severely constrained in terms of bandwidth). How often/When should a sensor transmit a measurement to a control unit? How often/When should a control unit send a control update to an actuator? What forms of error correction/routing/data compression are most adequate for control applications? Which wireless medium-access methods are most effective for control applications? How can one implement a control/estimation algorithm within an embedded processor so as to minimize energy expenditure? At essentially every layer of the protocol stack, the protocols needed for networks of embedded systems are fundamentally different than those needed for bulk data transfer or even for other “real-time” applications such as voice-over-ip or live video streaming. Fundamental research is needed to solve multiple open problems in the area of networked embedded systems. Adhoc approaches without a strong theoretical underpinning will fail to find appropriate solutions to these problems. The widely used Controller Area Network (CAN) bus standard manages the medium access for wireline connections of electronic control units (ECUs). Originally developed for automobiles, the CAN bus was specifically designed to be robust in electromagnetically noisy environments such as those arising in the Supervisory Control And Data Acquisition (SCADA) systems used to monitor or to control chemical or transport processes, in municipal water supply systems, to control electric power generation, transmission and distribution, gas and oil pipelines, and other distributed processes. The CAN standard uses a priority-based collision-free medium access protocol. Image from Robert Bosch GmbH, the developer of CAN. Robotic agents have the potential to free humans from unpleasant, dangerous, and/or repetitive tasks in which human performance would degrade over time due to fatigue. Currently, assembly lines for the automotive industry are highly automated using robots for welding, painting, machine loading, parts transfer and assembly, etc. However, these robotic systems have little autonomy and essentially continuously execute preprogrammed motions with little cognition of their surroundings. Cost: Advances in materials and fabrication processes have significantly reduced the cost of the hardware platforms (airframes, motors, etc.) and advances in MEMS and VLSI have resulted in sensors (inertial, magnetic, and GPS) and flight control systems that are lightweight, very energy efficient, and cheap. 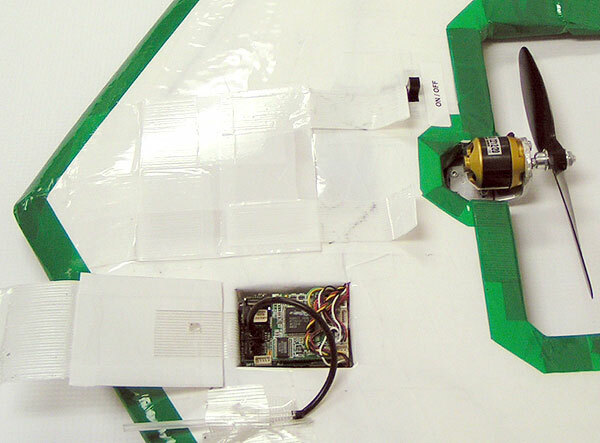 Computation: Because microprocessors and hard drives are becoming fast, small, rugged, energy efficient, and cheap, it is now possible to place significant computational power onboard a flying or ground-moving robot. This allows for the deployment of algorithms that lead to sophisticated autonomous behavior. The Unicorn UAV from Procerus Technologies is basically a foam wing powered by an electric motor. It has an onboard auto-pilot fed by a GPS unit, three-axis rate gyros and accelerometers, differential and absolute air pressure sensors, and a magnetometer. The autopilot communicates with a ground station through a radio link. We have used Unicorns to test our cooperative control algorithms. Computational complexity: Optimal solutions to many (most!) of the problems that one would like to solve using teams of autonomous agents have large computational complexity. Sometimes this complexity is present even in single-agent versions of these problems (e.g., search), whereas other times is arises when one seeks decentralized solutions, i.e., solutions that do not require centralized decision making. Limited communication: Wireless communication is typically used by a team of agents to coordinate their actions. However, wireless networks are severely constrained in terms of bandwidth and range. In addition, wireless communication is notoriously unreliable. In view of this, for an algorithm to be useful in practice it must require little inter-agent communication and it must be robust with respect to communication faults. 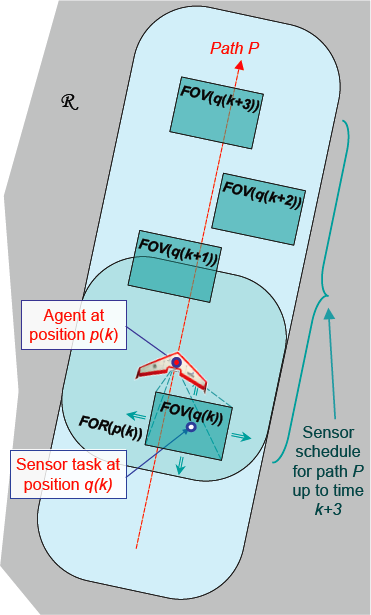 Path planning for an Unmanned Air Vehicle (UAV) with a camera mounted on a gimbal system. 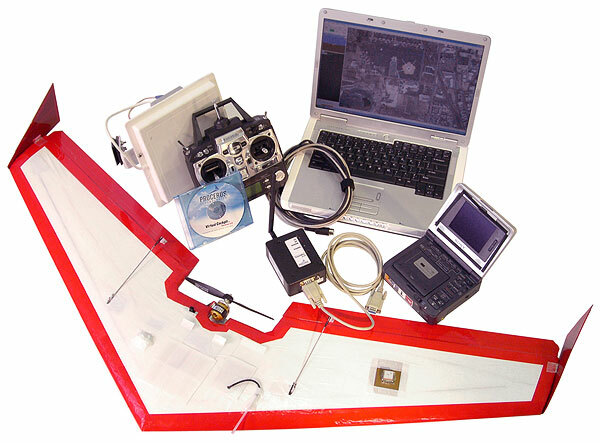 By controlling the field-of-view (FOV) of the camera, one enlarges the field-of-regard (FOR) that can be imaged from each position of the UAV. When computing an optimal path for the UAV, one should take into account that the FOV of the camera can be controlled through the gimbal mechanism. For maximum coverage, one thus needs to consider jointly the problems of path planning for the UAV with that of scheduling the motion of the camera. By solving these problems jointly, one can significantly increase coverage, at the expense of larger (but still manageable) computational complexity. This picture refers to joint work between our research group (mostly former PhD student James Riehl) and the Toyon Research Corp. (Dr. Gaemus Collins). 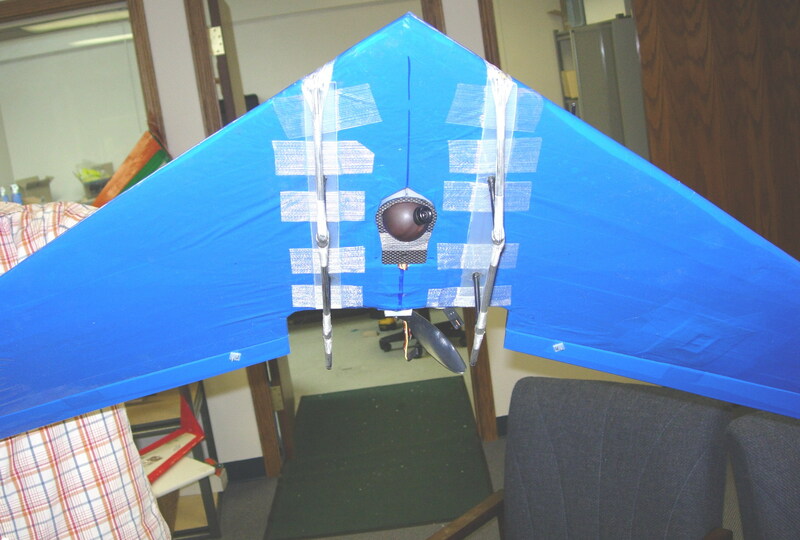 The algorithms developed were flight tested in Unicorn UAVs in November 2007. In these tests, a team of 4 UAVs (two real and two simulated) cooperated in searching for and tracking a moving ground target. Systems biology seeks to understand living organisms by modeling and analyzing the complex interactions of genes, proteins, and other cell elements. These interactions occur through biochemical reactions that take place inside the cell or close to the cell membrane. Particularly crucial are the chemical reactions that participate in the complex regulatory mechanism that control cell functions such as the heat shock response, which protects a cell against environmental stresses (heat, cold, oxygen deprivation, etc. ); apoptosis, which leads to a programmed cell death with minimal harm to nearby cells; chemotaxis, which permits a cell to move in search of food or to flee from poisons; or cell division, which results in two daughter cells from a single parent cell. Ultimately, the goal of systems biology is to transform the methodology used for drug discovery, which is currently dominated by mass experimentation. By enlarge, when faced with a new disease or condition, drug developers expose compromised cell cultures to a large number of chemical compounds in the hope of finding a substance that "treats" the disease. Finding such a substance, triggers a second phase of experiments aimed at making sure that this substance does not harm individual cells or organs. In addition, a mechanism must be found to deliver the treatment to the right cells. The goal of systems biology is to guide this effort so that most effort is spent searching among the most promising types of substances and making sure that all cell functions that could be affected by the potential treatment are not negatively affected. What makes finding cures for diseases especially challenging is the fact that cells are exquisitely regulated mechanisms with multiple feedback loops. Suppose for example that it is discovered that a particular disease develops because a set of cells is lacking protein X. A naive cure would be to inject X into the blood stream in an attempt to increase its concentration. However, this can actually have a completely opposite effect if the body interprets the high concentration of X in the blood as a signal that this protein is being overproduced and shuts down the natural production of X. This is not unlike the apparent paradox that results from placing a heater next to the temperature feedback sensor of a central heating systems and suddenly realizing that the whole building got much colder. Simple gene regulatory network, where a gene G produces mRNA (transcription), which in turn produces a protein X (translation). The regulation of the production of X is achieved by a negative feedback loop that results from the fact that the protein X dimerizes to produce X2, which acts as a repressor transcription factor that inhibits transcription by preventing the RNA polymerase from binding to the gene G, thus effectively inactivating it by preventing the production of mRNA. To the right-hand side of the network, we see a set of chemical reactions that can embody this mechanism. The goal of our research has been to develop tools to analyze complex networks of biochemical reactions. Motivated by the above observations, we are especially interested in constructing dynamical models that highlight the feedback mechanisms in cell regulation and that provide a qualitative and quantitative understanding of how the different genes, proteins, and other cell elements contribute to the observed behavior (phenotype). Gene regulatory mechanisms typically involve a large number of distinct chemical species, but it is common for some of these species to be represented by just a few molecules, which can invalidate models based on the deterministic chemical rate equation. Our work has been using tools developed for Stochastic Hybrid Systems to construct differential equations that accurately model the stochastic effects present in biochemical networks. The left plot shows the evolution of the mean and variance of the number of molecules of a particular chemical species involved in a bio-chemical network obtained from an ODE that approximates the moment dynamics. In the middle plot we see a typical sample path obtained through a Monte Carlo simulation and in the right plot an histogram obtained from a large number of such simulations. The moment dynamics ODE model was obtained using the package StochDynTools developed by our team and the Monte Carlo simulations were obtained with Petzold's StochKit. Course on Modeling Analysis and Design of Hybrid Control Systems at the HYCON Graduate School on Control from the European Embedded Control Institute, February 12-16, 2007. Hybrid Systems Biology. Workshop for the 45th IEEE Conference on Decision and Control, San Diego, CA, December 12, 2006. 12th Southern California Non-linear Control Workshop. Santa Barbara, California, June 2, 2006. 9th International Workshop on Hybrid Systems: Computation and Control (HSCC 2006), Santa Barbara, California, from March 29--31, 2006. Summer Study in Brazil: US undergraduate and graduate students at UCSB may apply for summer study in Brazil. The program consists of 6 weeks of study in language and applied mathematics in Rio de Janeiro, followed by a 8-10 week project in Campinas (near Sao Paolo). Funding for travel and local expenses is provided through the FIPSE program. More details at http://www.cds.caltech.edu/~murray/cdsa/. Stochastic Hybrid Systems: Theory and Applications. Workshop for the 43rd IEEE Conference on Decision and Control, December 13, 2004. SensorNets@UCSB Spring’04 Mini-Symposium, Bldg 406 conference room, 9-12:30noon, May 17, 2004. 8th Southern California Non-linear Control Workshop. Santa Barbara, California, May 7-8, 2004. Shaunak Bopardikar, BT/MT in Mechanical Engineering 2004 (Indian Institute of Technology, Bombay), started PhD in Fall 2005 (co-advised with Prof. Francesco Bullo). Alexandre Mesquita, Undergraduate Degree in Electrical Engineering 2006 (Divisão de Engenharia Eletrônica, Instituto Tecnológico de Aeronáutica - ITA), started PhD in Fall 2006. Abhyudai Singh, PhD 2008, BT in Mechanical Engineering (Indian Institute of Technology, Kaput), currently Postdoctoral Scholar, University of California, San Diego (as of Oct. 2008). James Riehl, PhD 2007, BS in Engineering 2002 (Harvey Mudd College), currently Systems Design Engineer Specialist, AT&T Government Solutions, Inc. (as of Oct. 2007). Payam Naghshtabrizi, PhD 2007, BS in Electrical Engineering 1997 (Sharif University of Technology, Tehran, Iran), currently at Ford Motor Company (as of Oct.~2007). Prabir Barooah, PhD 2007, BT 1996 (Indian Institute of Technology, Kanpur), currently Assistant Professor at the Department of Mechanical Engineering, University of Florida, Gainsville (as of Sep 2007). Pedro Aguiar, 2002—2005 (Adjunct Professor at the Instituto Superior Técnico, Portugal, as of July 2007). Duarte Antunes, PhD student, Inst. Superior Técnico, Lisbon, Portugal, 8/20/07-12/20/07, 4/4/08-6/28/08, 10/1/08-12/12/08.